Dark wash capris. 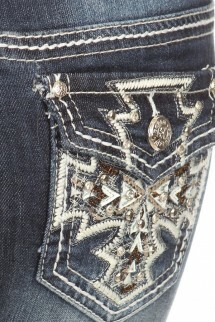 Featuring cross pattern on back pockets. 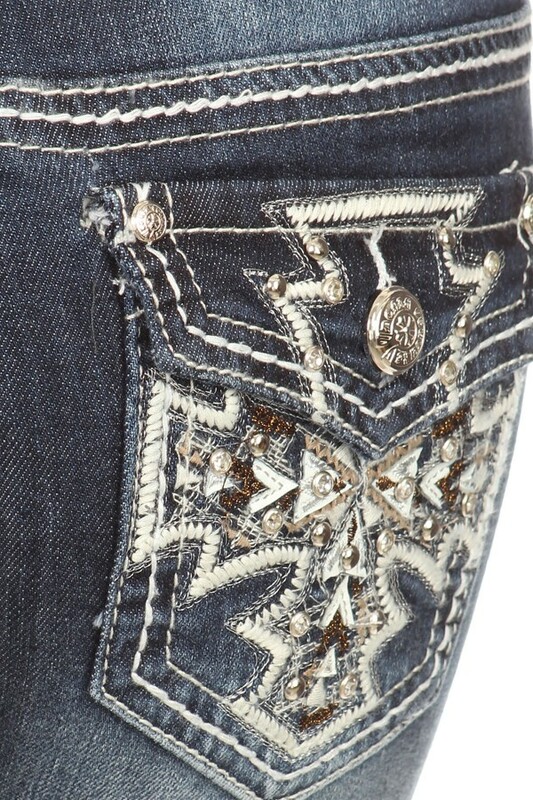 Also featuring leather, crystals and studs on front and back pockets. Detailed stitching with folded cuffs for adjustable length.